One thing I love about Melbourne is its cuisine diversity and all the obscure eateries that take away from the mainstream. Being at One Noodle Friendship goes like this. You walk along the north side of High Street, Preston. You see a run down arcade with beauty salons and noodle shops. You go into the room which is dimly lit (better not turn the lights on lest there is a power outage and the generator is noisy). You order a big plate of handmade dumplings or noddles. You go into the back room and sit at a Laminex table and wait only minutes for your meal to be plopped down in front of you. Despite its low-key location and presentation, One Friendship Noodle has received hundreds of positive reviews. 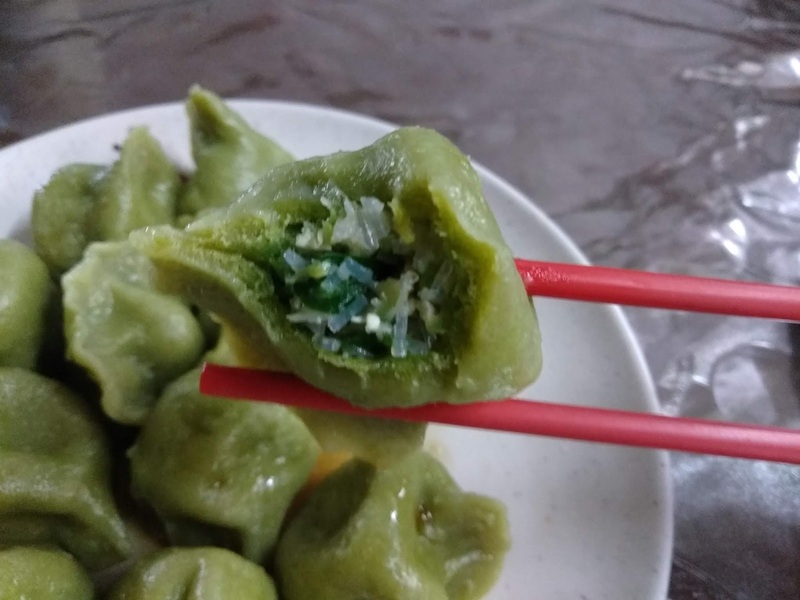 It is frequented by local diners wanting an easy and cheap meal, and home cooks who can serve frozen dumplings to their family on their night off. It is cheap. That is one plus. The other is that all the dumplings and noodles are home made and steamed or fried fresh. 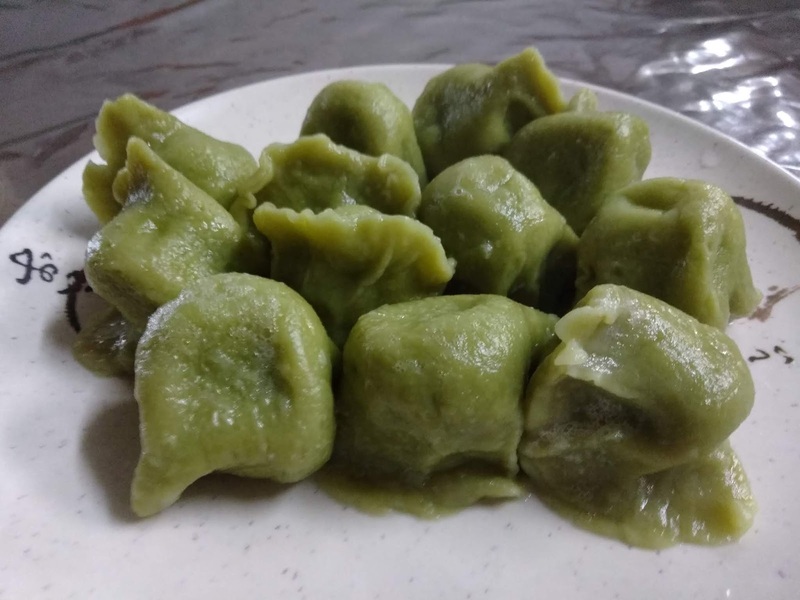 The vegetarian dumplings are free from meat, rather than full of vegetables. Inside the thick green skins you’ll find glass noodles, tofu and chives. They are served promptly and very hot. The dough is perfectly cooked all the way through, without being gluggy. And the thick skins make a plate of these more filling than your usual dumplings. It is an easy and cheap snack, dinner or take-away. There are only a few vegetarian options, but enough to keep you interested. There’s loud chatter in Chinese at one end, hipsters’ banter at the other. Sitting in One Noodle Friendship, you could be anywhere.